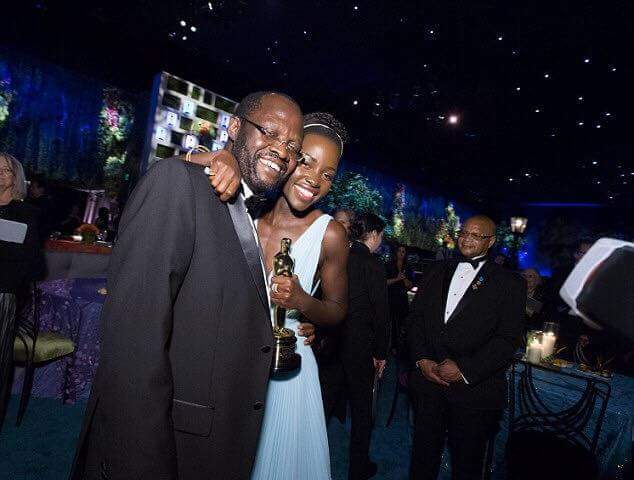 Oscar award winning actress, Lupita Nyong’o has taken to social media to celebrate her dad Hon Peter Anyang Nyongo was sworn in today, as the Governor of Kisumu County, Kenya. 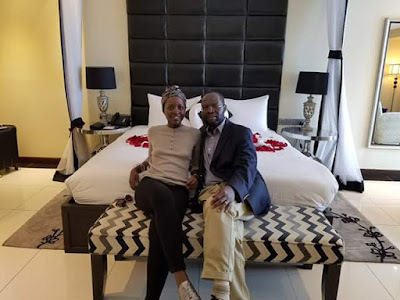 (We Kenyans say “smart” for “well-dressed”), but also that I was intelligent. It always made me feel special and valuable. 2. It will be OK: He said this whenever I was sad with the little burdens of my childhood (a fight with my friends, a broken doll, a lost favorite piece of clothing). He also said this when I was concerned with the big burdens of his adulthood (detention without trial, house arrests, caught in tear gas during violent riots). Daddy said this to me as he held me close and I always felt a sense of comfort and security from him. I knew he would do all he could to make my life safe and that he was doing the same to make the country better for all of us. 3. You can do anything: Daddy never EVER made me feel limited by my gender. He supported me when I did things that my society thought un-ladylike, like whistling, dressing like Kriss Kross, and even climbing trees in my adulthood. He was my first example of what feminism looks like on a man. 4. Do whatever you want to do; just do it to excellence: Dreaming out loud was something he encouraged. He loved listening to my adventurous and sometimes unrealistic and romantic ideas. He did that for all of his kids. Together with my mom, my father taught me to dare to imagine an ideal world and go about making it a reality. 5. Knowledge is power: He ALWAYS reads and he is a walking example of how the power of an education never comes to an end. He has taught me that learning is the best way to stay young, beautiful and relevant. A free mind is stronger than a free body. 6. Show me: My Daddy loves to learn from his children. He is not afraid to admit what he does not know, and admitting I am ignorant of things has saved me from a lot of unnecessary embarassment. Not knowing isn’t a crime. Refusing to learn is. 7. Consider the other side: there is always two sides to a coin. Being able to identify the other side of an argument makes yours stronger. It also makes you more empathetic. 8. You must stand up for what you believe in: This is a fundamental lesson from my father. He lives by it. It is why he serves: To literally make the world a better place. I know I have to do the same. Good people need to do more to bring balance, because the bad people sure are busy these days! 9. Very Good! ‘A’ Minus: This was his way of saying that I did well, but also jokingly reminding me that there is always room for improvement. It’s about not congratulating yourself too much or berating yourself either. 10. Daddy loves baby: He has said this to me all my life. A reminder that he loves me, yes, but also that I will always be his little girl. It is heartening to remember as life gets more and more adult, that we all start off with the innocence of a child and the pure love that comes with it.